The warehouse employee can definitely identify the compartment and the quantity that he has to pick. 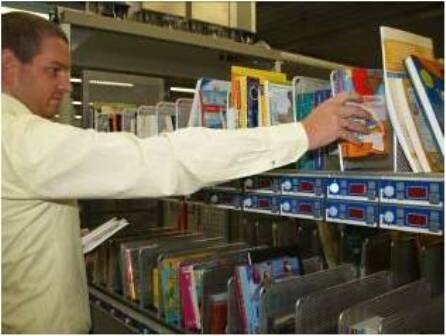 After picking the goods, he presses the OK button and the display goes out. The change is immediately entered into the merchandise information system, depending on the equipment of the display, quantity correction and inventory support are possible too. 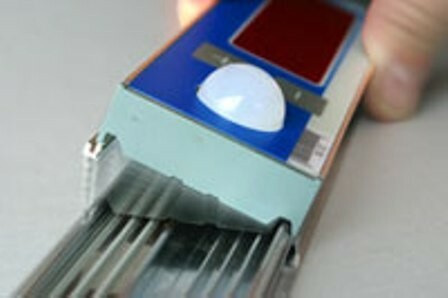 In addition, the reversal of the above-described principle of paperless picking is often put into practice. 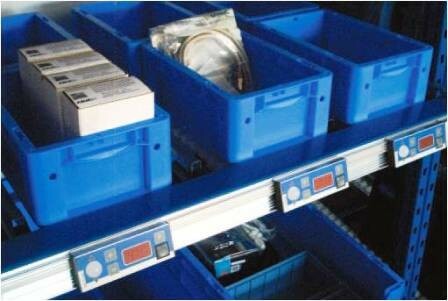 For this purpose, the target containers into which picking is to be carried out are lined up or mounted on a shelf. Each position is equipped with a quantity display. 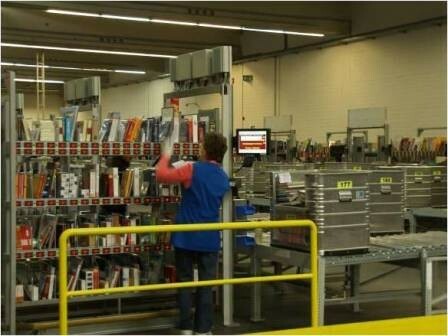 The items to be picked are now taken to the employee one after the other, e.g. 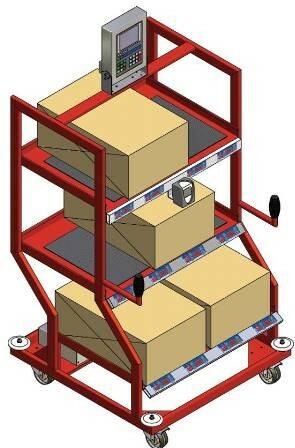 by means of an automatic conveyor or in case of two-step picking by means of a picking cart. 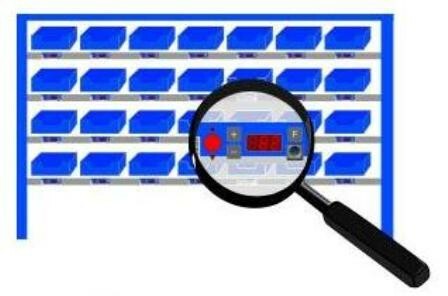 After the item has been identified (barcode reader or RFID), the shelf displays on the target containers (customer, branches) light up and indicate the ordered item quantity. 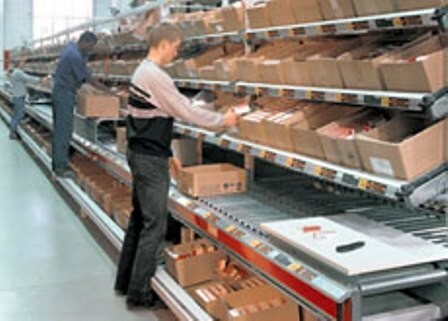 The employee puts the displayed quantity into the corresponding target container and acknowledges this at the shelf display. This technology is often used for branch distributions or as the second step in multi-step picking. 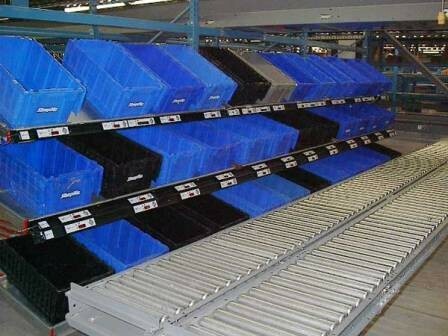 In numerous logistic scenarios, it is advantageous if the picker has his hands free and does not have to carry a pick list around, particularly in warehouses where long distances have to be covered or when picking goods that have to be picked up with both hands. In contrast to customary picking with receipts or RF terminal, the natural work flow is not interrupted when using the PickTerm Voice system: The pickers have their hands and eyes free for their work. Earphones and microphone replace the classical RF terminal. Thanks to the increased freedom of action, the order picking process becomes more efficient. Keyboard entries, watching the display and reading the list – all these steps are rendered superfluous when using the PickTerm Voice system. The operator can concentrate entirely on his job. With stationary applications, e.g. 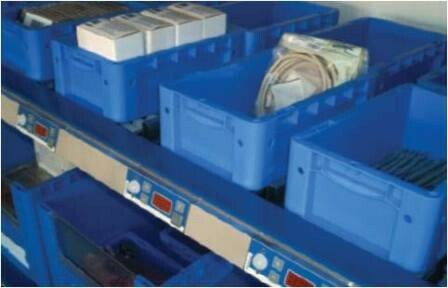 continuous flow racks, the Pick by Light principle has proven a success. 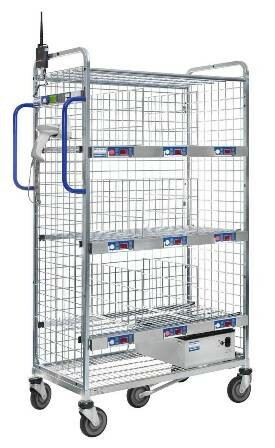 As an innovation, this system is now also available on a picking cart. 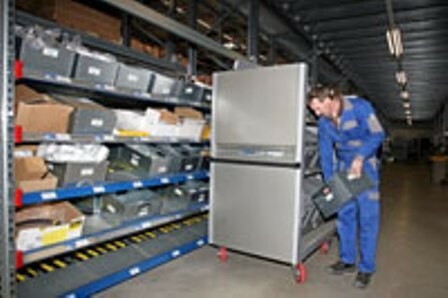 Big advantage: When several picking orders are to be processed paperless at the same time, the Picking Cart saves time and reduces the distances covered. 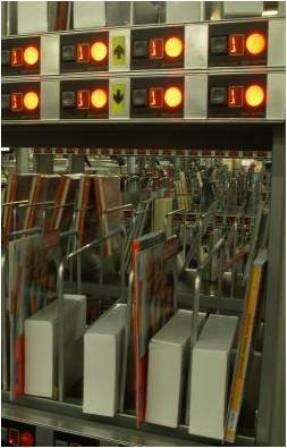 The operators can thus commission up to 40 orders simultaneously – always guided by the LED displays. 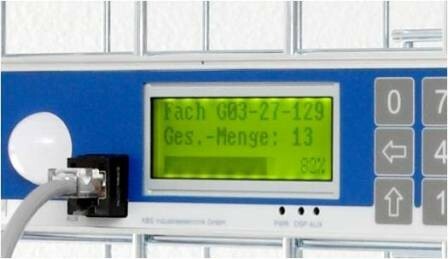 The individual levels or container positions on the cart are equipped with a carrier profile onto which the desired number of display and control elements can be mounted. 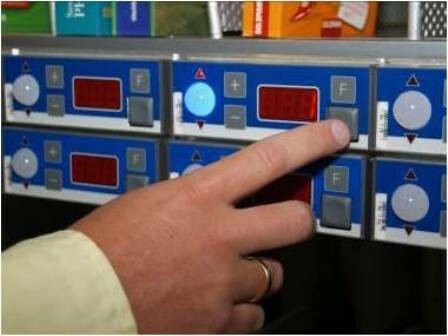 The carts are equipped with a battery-powered radio set that communicates with the central inventory management computer or another overlaying control unit.